Madagascar… apart from the animated film of the same name, what do we really know about Madagascar? Until last weekend, I certainly did not know much, but meeting a native person opened my eyes to the potentials and threats that this gigantic island located off the coast of Africa, across from Mozambique is facing. 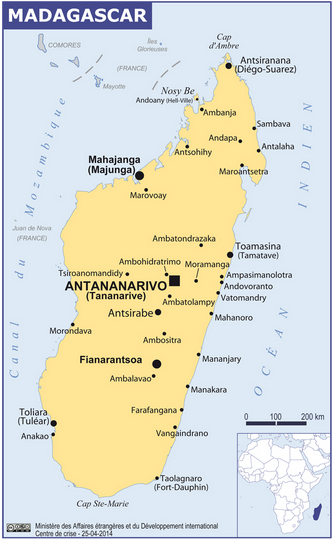 Madagascar was independent kingdom before being colonized by France in 1896. In 1946, the island’s status changed to become a French Overseas Territory, as opposed to a colony. 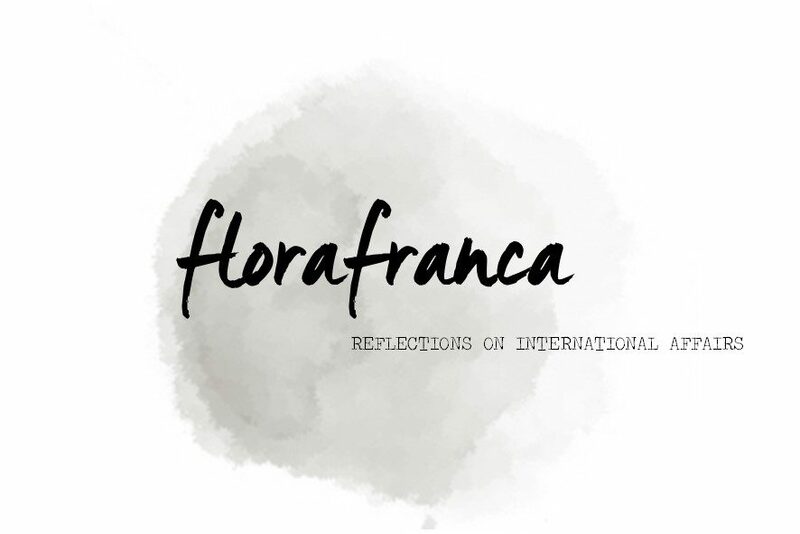 The decolonization process started with a local insurrection in 1947 which was violently repressed by the French forces (the repression is often considered as one of France’s bleakest moment of the decolonization era, alongside Indochina). Madagascar finally seizes it independence in 1960. This renewed freedom did not, however, change much at the political level as the lack of democracy and an autocratic, inherited from the colonial era, stayed in place until 1992-93 when the first free elections took place. Important political instability shook the country in 2009-2013, as a popular uprising forced former president Marc Ravalomanana to hand in the power to the military who passed on the reins of the state to the mayor of Antananarivo, the capital city. The process is de facto considered to be a coup d’état. The crisis was settled through international mediation led by the Southern African Development Community, following which Madagascar held UN-supported presidential and parliamentary elections in 2013. 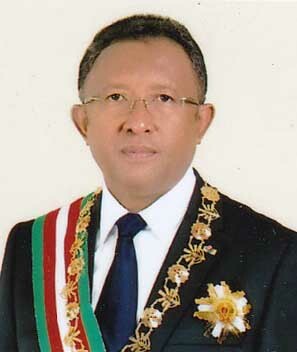 The presidency has been in the hands of Hery Rajaonarimampianina since 2014. Assembly). The request was, however, rejected by the Constitutional Court. The political situation on the island remains unstable, illustrated by the resurgence on the political scene of former heads of states. The demons of the past have creeped up again on the economic scene as well, although Madagascar had been on the road to development since the mid-1990s after the country followed the IMF and World Bank policies. Today, 80% of population lives off of agriculture but deforestation and difficult weather conditions such as drought and cyclones have put a strain on food supplies and the income generated. The national economy knows a very slow growth, 3,2% so far in 2015 (IMF), a number which should be much higher considering that Madagascar is a developing country. Plus, the Malagasy soil is rich with oil, chrome and nickel, thus offering immense economic potential for the local population, but the laxity and lack of efficiency of the government keeps putting foreign investors off. The rampant corruption is also preventing the development of the country: Madagascar ranks 133 out of 174 on the corruption scale, a situation which has worsen since 2012. Other numbers are alarming: close to 3 out of 4 Malagasy live under the poverty line; the GDP per capita ranks 218 out of 230; the GDP has dropped by 42% since the independence in 1960. Unfortunately, the situation Madagascar is in today will be hard to get out from alone. And due to the elements enumerated above, violence, strikes and inefficiency have increased. As a consequence, tourism, which is one of the island’s main source of revenue due to the beauty of its nature, has considerably dropped: only 100,000 tourists have made it there so far in 2015, although the previsions forecasted three times more foreign visitors. The strikes at Air Madagascar are partly to blame, although the claims of the staff are more than fair (see here for more). The crisis also triggers chronic malnutrition, but also caused the resurgence of plague due to the poor living conditions in some parts of the country (Madagascar is the country the most affected by plague in the world). Madagascar is also widely affected by malaria and dengue fever due to its tropical climate. Prevention campaigns have so far failed to reduce the effects of malaria. For example, children have been seen fishing with the mosquito nets rather than using them to keep the insects away. On September 22, the IMF agreed to a 42 million euro loan to reform the local economy. This is a two-hedged sword because it has the potential to make a difference and trigger real changes, but it also has the potential to support corruption and not reach the intended result. Madagascar is in a very concerning situation as the country seems to have halted its development. Strangely, it seems like the country is going backwards. Political stability has done no good for the population yet. Fear is spreading that only a military coup could force changes. Weirdly enough, history has shown that authoritarianism seems to have brought better results than democracy in Madagascar. This situation cannot last. Parts of the civil society – mostly students- are denunciating the failures of the govenment, to which the police is reacting with violence instead of protecting the population. ← African Leaders: From Decolonizers to Dictators, then Stabilizers. What next?